Parents may be eligible to receive a loan or grant to defray some of their adoption costs. Each grant or loan program determines eligibility requirements. Usually grants are not given until you have a completed home study. Also, you may be required to be pursuing a specific country program, as you will most likely need a letter from your placing agency. If you are pursuing a domestic adoption, most likely you will have to use the services of an accredited adoption agency and not just the services of a private attorney. Offers grants and loans. Also, will work with your church in providing grants and loans through donations. 100 percent of all funds given go directly to the adoption. Steven Curtis Chapman’s organization offers grants. This excellent organization is also devoted to the ministry of orphans around the world through donations and missions opportunities. Assists families by raising funds for adoption. Accepts new applications only when there are an excess of funds. This organization, an affiliate of LifeSong for Orphans, cares for orphans on one hand, and widows on the other. They do this by selecting a widow in need of help, such as a home improvement project. Then people work on the project, and get family and friends to sponsor their labor financially. The money goes to adoption grants. This organization provides grants up to $7,000 and they also provide loans for adoption as well. They provide grants exclusively to families adopting internationally. They typically approve more than half of the qualified families that apply. Provides funding in the form of gifts and grants to people in need of financial help with their adoptions, as well as supporting organizations in their efforts to advance domestic and international adoption. Provides grants to families adopting internationally. Provides grant funding to Christian adoptive families who reside in either North or South Carolina. A South Carolina based non-profit organization that provides grants to Christian families adopting domestically or internationally. The Gift of Adoption Fund is a non-profit foundation funding donations and fundraising events. Gift of Adoption Fund is established to assist adoptive parents by providing cash grants to subsidize a portion of the costs of adoption. 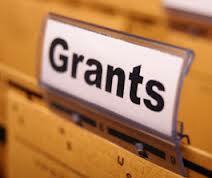 Grants are awarded on a monthly basis with sums ranging from $500 to $7,500. The grants are available to single parents, families with previous children, and prospective adoptive parents who are adopting internationally, independently or through an agency. This organization provides grants for domestic and international adoptions. Families must demonstrate a financial need and have a completed homestudy to apply. The International Down’s Syndrome Coalition offers grants for families adopting children with Down’s Syndrome. An adoption advocacy organization that also provides a limited number of grants. Contact Nightlight for more information. Provides financial assistance to meet the medical and/or surgical needs of foreign-born adopted children and their adoptive families. Provides financial assistance to Christian couples who are adopting internationally. Provides financial assistance to families in Minnesota domestically adopting a Black or Bi-racial infant or child. Families can apply to this foundation for an outright grant. The grant program is open to all legal adoptions including public or private agency adoptions, international, special needs or adoptions facilitated by an attorney. There is no income requirement. There is a simple one-page application and the only requirement to apply is a home study, or one in progress. The Foundation’s board meets four times a year, during the last week of each quarter, to award grants in amounts ranging from $500 to $4000. The Never Alone Foundation serves to bridge the financial gap to assist parents in bringing orphaned children home (“Zoe’s Rainbow”), offer aid to parents shouldering significant medical expenses as they endeavor to bring their youngsters to full health (“Lucy’s Love”), and finally, provide financial assistance allowing families to access the unique post‐placement services and support that help children with adoption challenges to be born in their parents’ hearts (“Hannah’s Halo”). The foundation hopes to award grants beginning in 2013. The Sparrow Fund is a grant for people who adopt children with medical needs. This fund covers some of the initial medical costs. The CMomA Gifting Program objective is to give up to twenty $5,000 CMomA Grants per year to eligible new parents adopting older children in need (age 3-17) or special needs children of all ages, both domestically and internationally. Dream4Adoptions has a Scholarship Program, Medical Needs Program, First Time Adoption Home Study Program and an Adoption Assistance Program. Optimally, Dream4Adoption wants to be able to give a Home Study Grant to each family seeking their first adoption. NACAC’s Adoption Subsidy Resource Center. Check to see if your state will provide one-time reimbursement for non-recurring subsidy of an adopted child. Amounts vary by state up to $2000 per child, and require that the child meet state criteria of having a “special need” to receive the subsidy. In nearly all instances, internationally adopted children are not eligible for these subsidies. Within this program, the military will reimburse active-duty personnel for most one-time adoption costs up to $2000 per child. Travel costs, foreign or domestic, are not covered. If you adopt more than one child, only up to $5,000 can be reimbursed in a given year, even if both parents are in the military. Reimbursement is made only after the adoption is finalized and only if the adoption was completed through a state or a non-profit licensed adoption agency. Fees that can be reimbursed include adoption, legal, and placement fees, court costs, and birth mother expenses. Eligible personnel should complete DD form 2673 (Reimbursement for Adoption Expense). Contact your local Personnel Support Unit for more information. Certain Immigration fees are waived for adoptive military families.